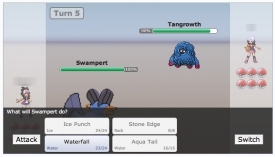 "A Pokemon battle simulator which allows you to play fully animated Pokemon battles online." 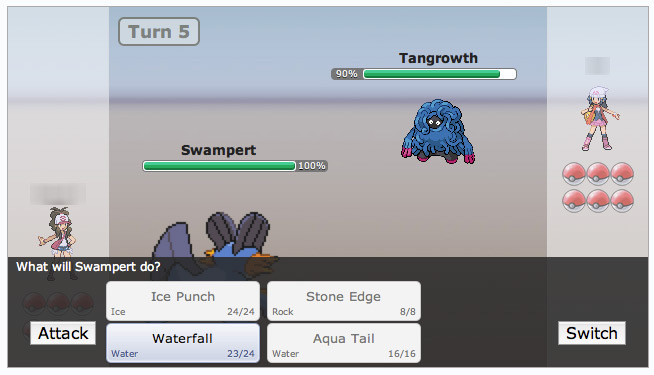 A Pokemon battle simulator that allows you to play fully animated Pokemon battles online against random people or your friends, Pokemon Showdown is a game that is fully integrated into the website for Pokemon Showdown, or you can download the game onto your computer using this download. The game allows you to play with randomly generated teams or teams that you build yourself to play against other people and climb the Showdown ladder by battling all of the best teams out there. The battles are best on a turn system and the more you play it the more familiar you will become with it and learn things such as which attacks to use at the correct times. The game actually has a pretty large community behind it, which definitely surprised me at first. Interestingly enough, the game is very well made, with battle music, battle sounds, and when you play against other people you can actually save replays of the battles to view them later. Also, all of the best top tier battles are available for you to watch on the website so you can see the best of the best battle one another. Use strategy and your Pokemon wisely during the battle to go for victory, it is very helpful to know what each Pokemon can do and what powers that they have available to them, it is really essential you learn this information so as to give yourself a fighting chance against your opponents in Pokemon showdown. Certain special moves work better in certain types of weather for example and against different opponents some attacks work better than others so having a good knowledge of your Pokemon will put you at an advantage and you will need to learn all this kind of information if you want to become a respected Pokemon Showdown battler. The player database of the game is available through the Pokemon Showdown website, where you can find your friends' stats or stats of other people playing the game. You can also use it to analyze your down stats for reference or for show. The game also features several different servers you can join and play against others, and Tournaments you can participate in to show off your skills. 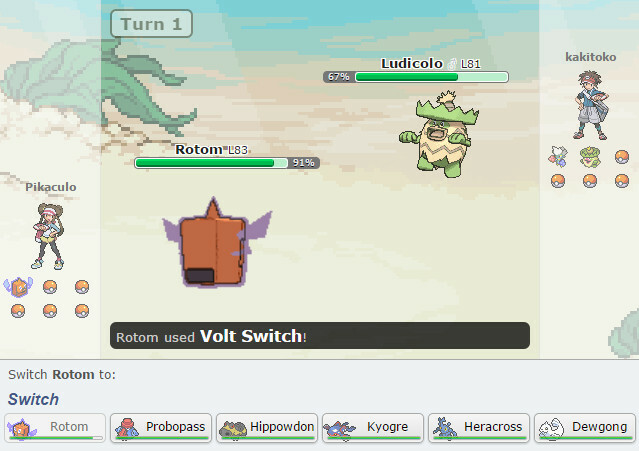 Unlike most Pokemon games, Pokemon Showdown is a game that allows you to play against other people online and is very well made, stable, has great battle music, and is pretty addictive too. If you have ever wanted to test your skills against your friends or others on the Internet, you should definitely check out this Pokemon Showdown download and give it a shot. You may even make some friends especially as you know everyone in the community is a Pokemon fan and there are plenty of opportunities to chat and make friends with like minded people, when you are not battling them that is! Pokemon Showdown download is free and available here.